Mix the yolk and zest into the dough. Knead. 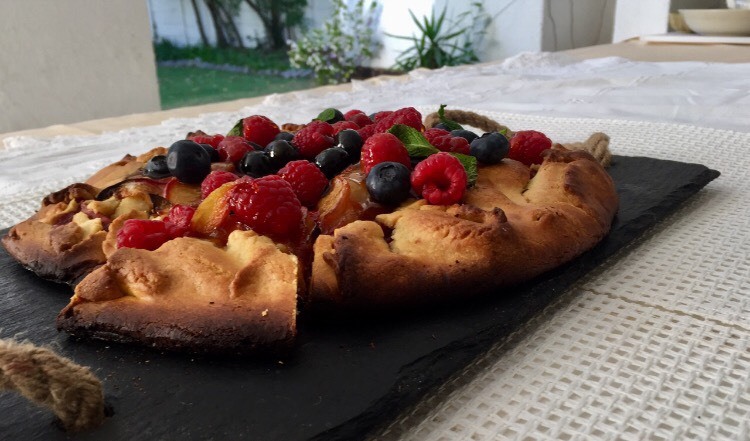 Mix the nectarines with the limoncello and cornflour and arrange onto flatter dough. Brush the edges with milk. Refrigerate. Bake at 200 degrees Celsius for 15-20 minutes.